Recently, upgraded hephestus to mk3 heated bed, all went well, after a Year bearings started to grind. I went and swapped to drylin with iron block. Upon arrival i noticed the holes to insert the bolts in the block (M4) didn’t match in size or position as the Y platform. I wen to find a solution as i love to tinker so i ditched the heavy iron build platform that comes stock, and bought an 6mm aluminium custom cutted. Had to raize the plastic feets a few mm np. Now i need your help, the holes in the heat bed and platforma are in the same position (4 corners) but are diferent sizes, mk3 heat bed have M3 and in the platform i have M4 hole, whats the best type of bolts and nuts and where to buy them in europe to solve this problem? Right now i’m using just an M3 with the spring but above 20mm/s it whoobles in the M4 platform hole. Countersunk M4 hex bolt should be good. I think that was a typo and you mean the mk3 has M3 holes while the platform has M4. 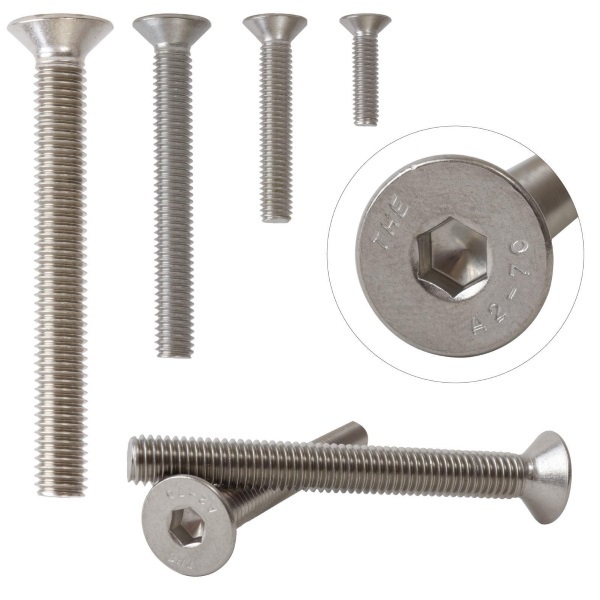 PTR’s idea should work, but use countersunk M3 hex bolts. Yes i corrected the typo, i think i have those arround. So you say if i try countersunk M3 from buttom up, and a printed nut wheel on top, the pressure from the springs shall hold it stable.